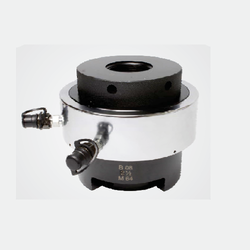 Please forward us your valuable enquiry so as to enable us to visit your site to understand your requirement and send our valuable quotation along with catalogues. 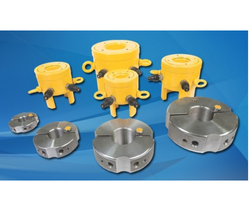 Hydropack India offers HBT series of Hydraulic Bolt (Stud) Tensioners specially designed and custom built most widely used, as they are compact & economical. Please click pdf file for more details. - Max. Working Pressure 1000bar. Threaded Fastner Range: M68 - M80 mm,2 1/2" - 3 1/4"
- Multi-Stud Tensioning (MST) systems are capable of tensioning every single stud in a joint simultaneously. Stud Tensioners are used to pre-load the studs with equal tension prior to tightening the nuts as well as to facilitate easy unscrewing of the nuts.